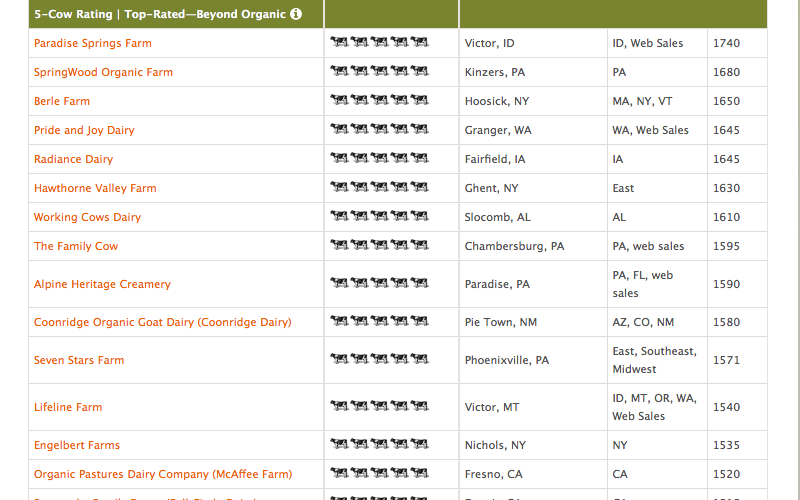 Organic Dairy Scorecard – How Do Your Favorite Brands Measure Up? 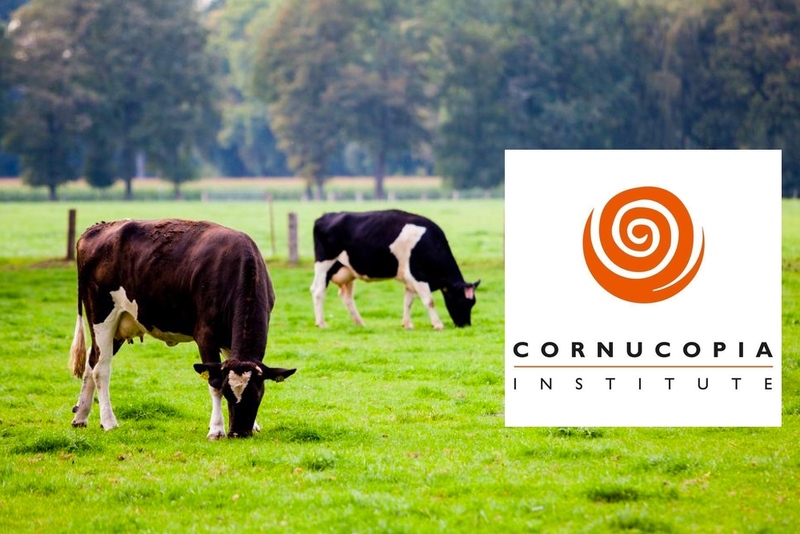 The Cornucopia Institute, which engages in educational activities supporting the ecological principles and economic wisdom underlying sustainable and organic agriculture and is recognized as a public interest group by the IRS, has released its Organic Dairy Scorecard. The Organic Dairy Scorecard gives a rating to US organic dairy farms based on certain criteria. More specifically, organic dairy farms are given a rating from Zero Cows to Five Cows, with Zero Cows being a Poor rating and Five being the Top Rated, Beyond Organic score. Those organic dairy producers who receive a Five Cow rating are the “gold standard,” managing small to mid-size family farms that emphasize pasture and pasturing and other forage makes up most of the animal’s feed. Producers in this category include Hawthorne Valley Farm, Maple Hill Creamery, and Saint Benoit Creamery. I have tried products from all 3 and they are amazing! Organic dairy producers who received a Four Cow rating are rated “excellent” – providing ample pasture for the animals and making a credible effort to encourage natural behavior. Many favorites are in this category, from Organic Valley and Stonyfield Organic to Trickling Springs, Kimball Brook, and Humboldt Creamery and others. A Three Cow rating means a “very Good” rating, meeting the minimum requirements for the legal organic standard and making an effort to meet the minimum pasture requirements. Julie’s Organic, Alden’s Ice Cream, Three Twins, and Whole Food’s 365 Organic fall into this category. Organic dairy producers who receive Two Cows have a “Fair” rating and are seen as questionable in their compliance with the organic requirements. Many private labels fall in this category and they are often not willing to participate in studies of this kind. Publix and Shoprite labels are in this category. The One Cow rating means “Poor” and is comprised mostly of store brands that are not transparent (i.e., do not necessarily release where the organic dairy is sourced) and are not willing to participate in organic studies. The private labels of Trader Joe’s, Hannaford, Aldi, Costco, Target, Sprout, Walmart and many others are in this category. Then there are the Zero Cow “Poor” rating dairy farms – they have not participated and are not transparent as relates to source of milk, antibiotic use and other similar questions. Dean Foods, Horizon, and Applegateare in this category. How do your favorites rank? Would you like those lower scoring brands to participate? I agree that transparency is good – give us consumers the information so we can make informed choices. What is wrong with that? Here is the link to the full scorecard – thank you, Cornucopia Institute!